Update!Juneau & Xena Radio Show-Valerie Orsoni & New Zealand Call-in! Want to help? Our friend “Enriqueme” is joining us at 11:00 following our regular programme, to bring update on the situation in Christchurch, which is becoming more dire by the moment. Together with our guest Valerie Orsoni, we will use this opportunity to encourage donations to the Red Cross for New Zealand. 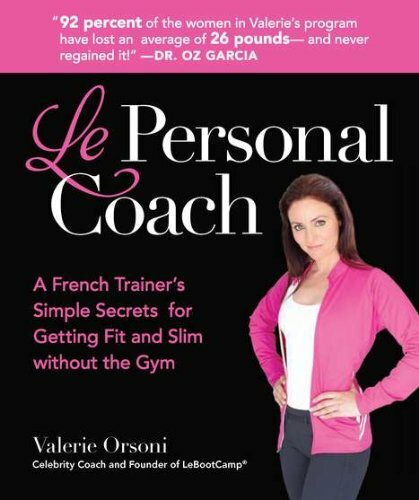 Valerie has kindly donated 3 copies of her book Le Personal Coach for our draw. To qualify, please make a donation in any amount to the Red Cross, send us a copy of the receipt and your name will go into the draw. We will donate $1 per chat room visitor and $1 per caller/skype guest to the Red Cross. Listen tonight for more details, where to send receipts, etc. In our “Look Good/Feel Great” series, we present Valerie Orsoni! The program exists in US, UK, AU and ZA English, in French and in German and employs 126 people across the globe. Stay tuned for call-in discussion about Adam Lambert & his unique style sense………..call-in and share your views. We love his ability to select the appropriate ensemble for each occasion and put his original stamp on it each time, casual, informal or formal. Snakeskin lapels? ZZZZZZZZZZZZ Leather & Lace? Yes! Following our regular show, we will have a special half hour dedicated to our friends in New Zealand, particulary in the Christchurch and the area devastated by the earthquake. One of our Glambertina friends will join us and we’ll talk about what we can do to help and where we can direct our assistance. It’s a chance to tell our Kiwi friends we are thinking about them and we hope some will be able to join us. Skype is working well for the show.